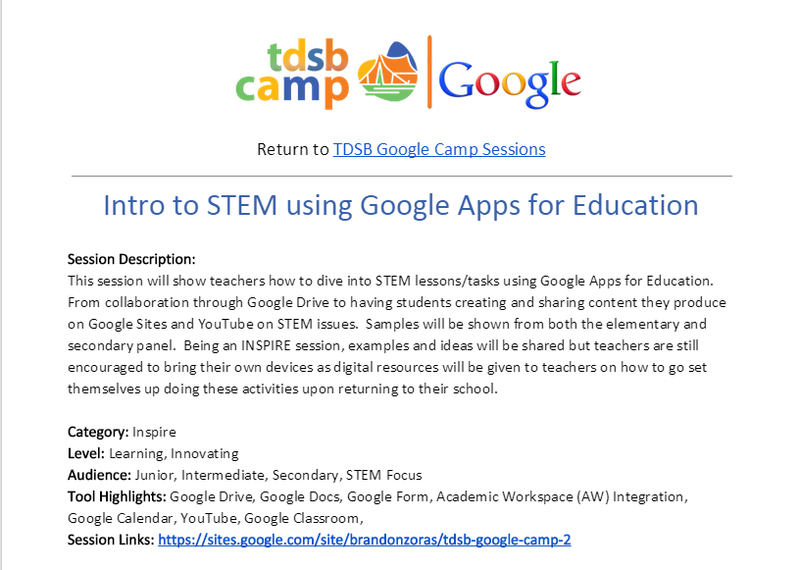 EdTech Team always has great conferences and during my session I decided to bring more teachers onto using YouTube. The idea was to shift from content consumer, to curator to creator all within one session! Many teachers saw the potential and moved along the continuum. 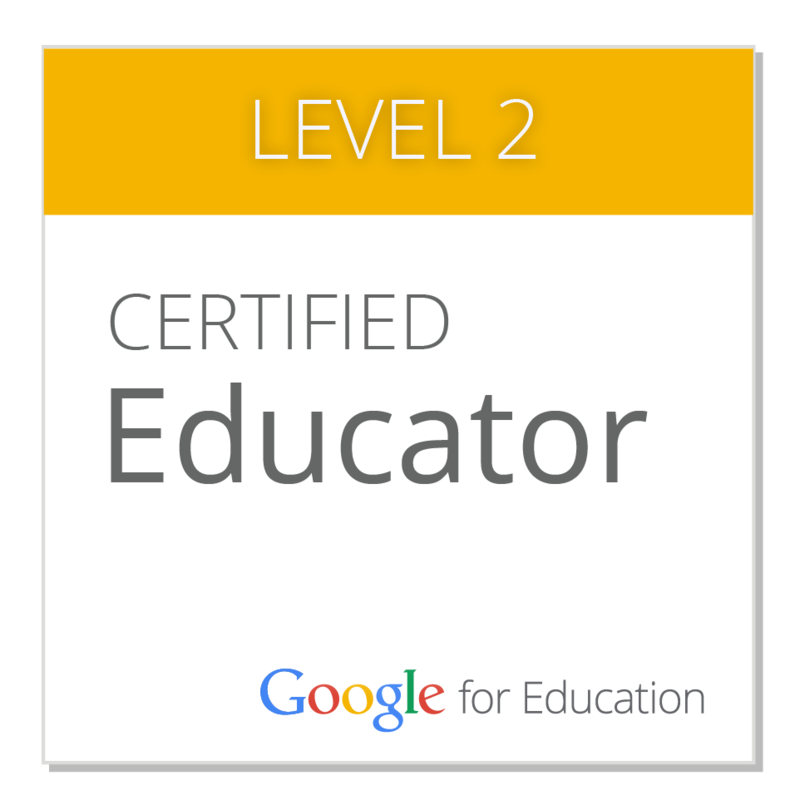 This spring I was looking to do some of the Google Exams but saw some changes were coming. I decided to wait until the summer and give the training a go. The training for the exams was excellent PD on its own. 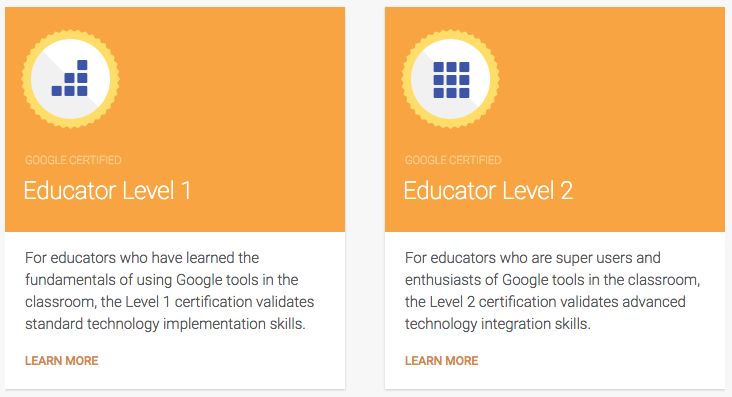 The training was almost like it’s own online course, you can log in, check your progress, see teacher examples and learn technical aspects of Google products. What I think is very important to know is that the focus is not on the tool, but what you can use the tool for. From time management, creativity, communication and digital citizenship are just some of the topics covered. You could use those ideas with other tools like Skype or Padlet, etc..
Any teacher looking to learn the tools or better yet what you can do with the tools, I recommend this training. I spent about two weeks on my own covering one or two modules a day (30-60 minutes) and played around with Google Apps to try some of the suggestions. Some things I was very comfortable with and others were new to me or new ways to use that tool in the classroom. This segment consisted of 13 units in 3 categories (pictured below). Each section goes over a clear criteria, lists the tools you will be using and is loaded with teacher examples. This is great for beginners and people who haven’t used the tools very much. It has a lot of step by step guides and examples to get you going. This has the same 3 categories but with 9 units this time. I found this to be less about the actual tool and more the application of it. There were some challenging aspects to the training as I was not familiar with making charts or manipulating data in sheets. Some people may find that part easy. It also got into some of the labs and extensions you can add to the various google products. Actually I signed something that said I wouldn’t share about the exam, sorry! But what I can tell you is that if you practice the exam practice questions at the end of each unit and then try out the tools yourself you will be fine. The exam is a mix of questions and actually doing the task in a Google account they make for you. I ordered the exam thinking it would be ready right away and then it said 24-48 hours. I got it in about 20 minutes. One thing that was a surprise to me was that it records you during the exam and you see yourself on the question screen. The exams are $10 US for level 1 and then $25 US for level 2. Right after you hit submit the program grades you and lets you know if you pass. It would be nice to go back and see feedback on what you get wrong or a %, but it just says pass. Within about 15 minutes I received my badge and certificate. One thing to note is that this only is valid for 2 years, then you will need to renew. I can appreciate that technology changes rapidly and that you need to keep up to date on new changes. 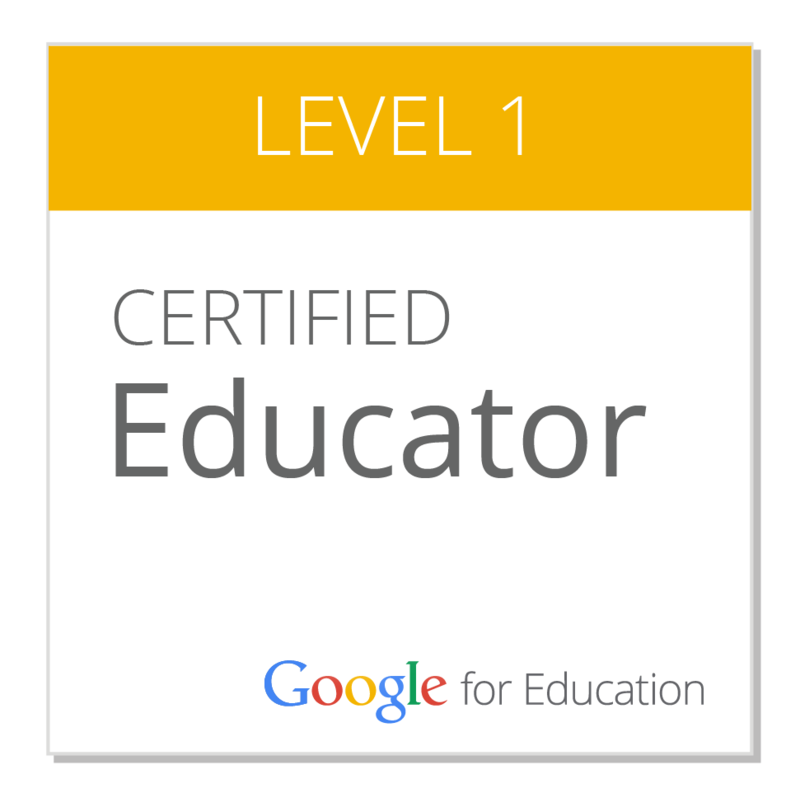 The badge and certification only applies to the individual so it follows you if you move schools or jobs. I haven’t decided which one I am going to go for out of the two but will keep everyone posted! Keynote by Julie Millan was awesome! It was great hearing from “one of us”. It is nice on occasion to have the celebrity keynote but what is really inspiring is someone in our board who is doing amazing work and someone we can connect with. Julie’s message was really about how technology has been changing, what learning looks like is changing and that teachers need to embrace that. She encouraged teachers to #TryOneThing! I found there was way more than one thing to try! If you missed the camp, you really missed something cool! BUT it isn’t the end of the world. All the resources are found online and the 80 presenters shared all of their resources! Click on the names of the session which will open up a presenter profile with all their shared links.